Maureen O’Sullivan TD wants to know how George Gibney has been allowed stay there. INDEPENDENT TD MAUREEN O’Sullivan has written to almost 100 US politicians seeking information on the immigration status of a former Irish Olympic swimming coach who was previously charged with 27 sexual offences. George Gibney has been in the United States since 1995 after charges in Ireland of indecent assault and unlawful carnal knowledge were dropped in 1994. O’Sullivan has previously raised the issue in the Dáil and says that she has been assured by the Department of Justice that a garda team is examining the case. She says that it is unlikely that any request for extradition would be made by the Irish State unless new evidence is uncovered. The Dublin Central TD says that it is vital for the alleged victims that there is justice in the case. In lieu of an extradition request being made, O’Sullivan believes that the decision to award Gibney a Green Card in the United States must be examined. If mistakes are found, O’Sullivan says that US authorities may expel Gibney. The deputy has been working with US-based reporter Irvin Muchnick who sought information from the US Department of Homeland Security about Gibney’s residency in the US. O’Sullivan says that Muchnick was provided with just four pages from what was acknowledged to be 102 visa and Green Card files relating to Gibney. O’Sullivan says that she doesn’t want to speculate about what may be contained in the unreleased files. She does, however, say that there seems to be “a litany of mistakes and unanswered questions” in the case. O’Sullivan says she is making her appeal directly to women members of congress. 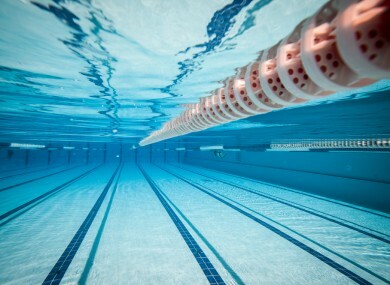 Email “Questions raised over Irish swim coach accused of abuse who's spent 20 years in US ”. Feedback on “Questions raised over Irish swim coach accused of abuse who's spent 20 years in US ”.